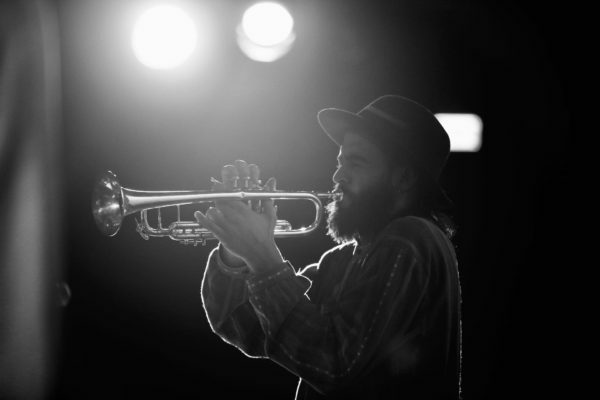 Milad Khawam is an up and coming trumpeter, duduk player and composer from Damascus based in Berlin. He studied classical and Arabic music in Damascus. Milad played principal Trumpet with many Orchestras between Europe and the Middle East since 2010. He is also a featured soloist in various groups in several festivals in Germany since he moved to Berlin in late 2015, such us Morgenland-fest 2016 and Karneval der Kulturen 2016. He composed the original soundtrack of “No Monsters in Berlin” short film, which was the winner of the Grand Jury Prize of Diversity in the Cannes Short Film Showcase 2017. Milad’s compositions are played in Germany at festivals such as Xjazz-fest Berlin 2018 and Fusion-fest 2018. He also loves to produce Electronic music and performs many solo concerts with Electronics in Berlin. Of late Milad has been working on his new album called “To the west”.